Mid-West Family Broadcasting is excited to welcome Chris Cessna to our sales and marketing team in southwest Missouri! Chris is a lifelong Springfieldian, and over the past 25 years he has been a former owner and fixture of the downtown business and entertainment community. Chris is passionate about music and is also a connoisseur of fine whiskey, both of which will be very good interests for the radio industry. 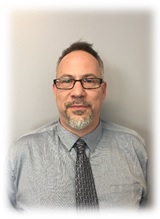 Please stop by and introduce yourself to Chris today, and we are happy to have him a part of our Mid-West Family!